Drug Lab Scandal: What Did Prosecutors Know? As someone who has studied past forensic scandals, I thought I was sufficiently jaded when it came to lurid stories about what goes on behind-the-scenes in our country’s crime labs. Then I learned about the alleged misdeeds of Annie Dookhan. The disgraced former chemist from a Massachusetts state crime lab in Jamaica Plain purportedly forged signatures, tampered with drug samples, bypassed protocols, disregarded the very concept of chain of custody and ultimately compromised the legitimacy of evidence in a staggering number of cases. News of Dookhan’s conduct has prompted officials and other stakeholders to ask the critical questions: How could her supervisors let this go on? What should happen with the more than 30,000 affected cases? What changes could prevent this behavior from re-occurring? I would like to focus on another question: To what extent were prosecutors aware of Dookhan’s actions? More to the point, to what extent should they have been aware? In October, the media reported details about a series of personal, even flirtatious email exchanges between Dookhan and an assistant district attorney in Norfolk County who prosecuted multiple drug cases where Dookhan supplied the analysis. While this type of coziness may be an extreme example of the close relationship between prosecutors and forensic scientists, it points to a broader issue – the lack of distance, both personal and structural, that often exists between prosecutors and the "neutral" experts trusted with the task of examining physical evidence and testifying in court. The relationship is inherently co-dependent. Prosecutors rely on scientists to test evidence; scientists rely on prosecutors to try criminal cases in which scientific evidence plays a role, otherwise they may be out of a job. This co-dependence provides subtle or maybe not-so-subtle incentives for forensic scientists to please prosecutors. Similarly, prosecutors have incentives to stroke the egos of scientists not only to speed up the testing process, but also to prepare them for effective in-court testimony. Lessons from past crime lab scandals suggest that prosecutors sometimes become so enamored with a forensic scientist that they ignore even obvious signs of misconduct. Take Joyce Gilchrist, a chemist in the Oklahoma City Police Department’s crime lab who remained a darling of local prosecutors long after courts and fellow forensic scientists disparaged her work. Among other things, Gilchrist neglected to distinguish between her personal and scientific opinions, and dragged her feet in turning over evidence to the defense. Or consider Fred Zain, a serologist in West Virginia in charge of testing bodily fluids for the presence of antigens and antibodies. Zain far too often testified about the certainty of findings that were, in reality, far from certain, and it appears as though he falsified evidence in more than 100 cases over a ten year period. Yet West Virginia continued to rely on him even after he left the jurisdiction, sending samples to Zain in Texas because his successors were not producing the "right" results. Prosecutors and forensic scientists are not and should not be "colleagues." 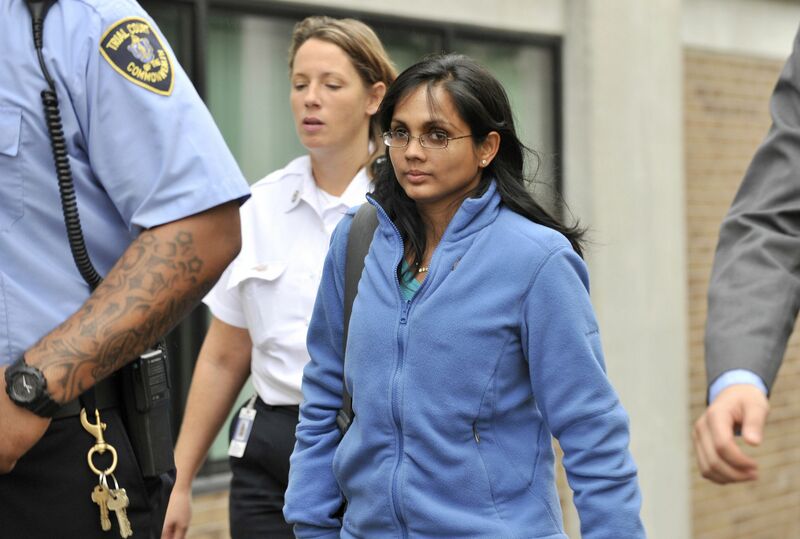 Were Massachusetts prosecutors similarly besotted with Dookhan despite possible warning signs? It is unclear at this point, but perhaps we will know over time. What we do know is that the structure of the relationship between many prosecutors and forensic scientists is worrisome. Along with providing additional training and oversight of our forensic scientists, we should take steps to preserve their independence, to separate them as much as possible from law enforcement — both police and prosecutors. Doing so may require outsourcing forensic testing to private labs and/or taking steps to make the testing "blind," i.e., ensuring that the scientist does not know which prosecutor is involved in the case or even which county the case comes from until the matter approaches trial. Creating a genuine separation of functions between prosecutor and chemist can ward off the problems associated with the coziness factor and pressures to support one another. Behavioral psychologists have studied the power of "conformity effects" within groups, a phenomenon in which people are reluctant to second-guess their colleagues in an organization. Prosecutors and forensic scientists are not and should not be "colleagues." They serve very different functions. But without fundamental changes to their relationship, the same old scandals are likely to surface in our nation’s crime labs.